The longer I work in this profession, the more I realize what an astonishing amount of work, dedication, and compassion goes into caring for nursing home residents. Having been in the field for nearly a decade, I have come to realize that those who have chosen long term and post-acute care as the venue for their career path are nothing short of amazing people. Even more amazing are those who possess the ability to motivate this already motivated group. Such individuals should be acknowledged in a special way. 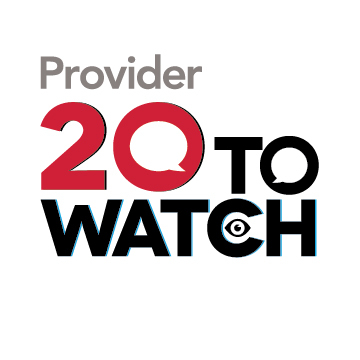 That’s why we’ve launched our new feature, 20 To Watch, the purpose of which is to recognize some folks in this profession who have demonstrated great potential and leadership skills, from nurses and CNAs, to socials workers, administrators, activity directors, and beyond. The selected individuals will be profiled in the December, January, and February issues of the magazine, and a page on the Provider website will be dedicated to the feature. We have already received some fantastic nominations, but we would like to get a few more. So please help us by taking a look around your office, your building, your facility, or even your home—do you work with, live with, or know of someone who has both the compassion and the vision to make a lasting impact in the field? If so, send me a message or drop me a line. Just don’t drop the ball on this opportunity—as it is an excellent way to recognize someone who deserves acknowledgement and appreciation. The deadline is THIS FRIDAY, Oct. 26. For more details, visit the 20 to Watch website. In an earlier post, we advertised a social media competition during Convention and announced an iPad winner yesterday via this short video. The competition promted attendees to share their experiences with each other in real time as the Convention progressed. Each day featured several opportunities to post on Twitter or Facebook. The Expo, speakers, education sessions were all topics being gabbed about in our biggest Convention for social media yet. The iPad goes to Kellie Green Jimerson who works at a member facility in Iowa. When we called to let her know the news she told us that she’d never “twittered” before. Help us spread the social media bug by promoting on your various channels. We want more people like Kellie to join the conversation. Being active in social media allows AHCA/NCAL to have more direct conversations with members about what’s going on in your daily work with successes and challenges. It also serves as an excellent tool to advocate on behalf of the profession when legislative contests and other battles approach. So why wait? Like us on Facebook and follow us on Twitter and you just might find yourself winning an iPad as well! Now that the AHCA/NCAL staff is fully recovered from celebrating more than 450 National Quality Award recipients at our amazing 63rd Annual Convention & Expo (thanks to all of you who attended! ), it’s time to shift focus to the coming year. 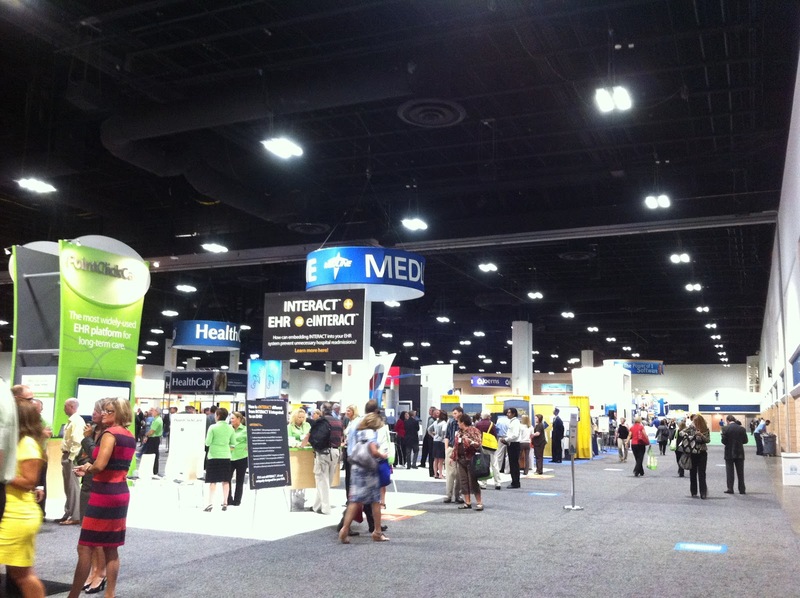 2013 is set to be another busy, quality-driven year for LTC providers. AHCA/NCAL set some pretty high standards in 2012 – but next year, we know our providers will be even stronger. 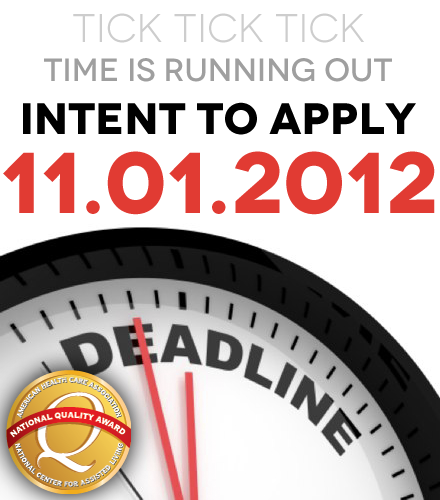 We’re already seeing members commit to quality by submitting their Intent to Apply for a 2013 National Quality Award. Don’t miss your chance to take advantages of cost-savings and additional resources – submit your Intent to Apply today! The deadline for Bronze, Silver and Gold applicants to submit the $75 Intent to Apply payment is November 1, 2012. Applicants who submit the Intent to Apply will pay $200 less at each award level. 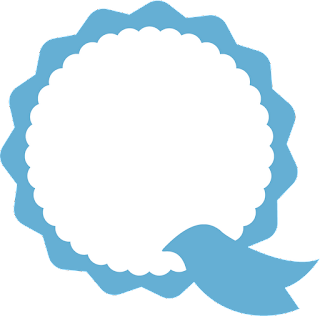 In addition, Quality Award staff provides regular communication about deadline reminders, tips for applying for the awards, and additional resources to applicants who submit the Intent to Apply. Vice President Joe Biden and Congressman Paul Ryan faced off at the sole Vice Presidential Debate on October 11 in Danville, Kentucky. Biden and Ryan have openly and repeatedly chastised one another’s reform plans, particularly those concerning Medicare and Medicaid. Many anticipated an aggressive debate between the two men vying for the second-highest seat in the land, but what ultimately ensued was perhaps less informative and more diverting. Ryan’s emphasis on competition and offering choices to Americans echoed his running mate’s statements in the first Presidential Debate two weeks earlier. In an evidently hostile exchange, Biden accused Republicans of halting Democratic efforts to enhance Medicare. “If [Republicans] just allowed Medicare to bargain for the cost of drugs like Medicaid can, that would save $156 billion right off the bat,” Biden said. “And it would deny seniors choices,” Ryan interjected. “Because it’s working well right now,” Ryan haughtily retorted. Moderator Martha Raddatz probed Biden asking if he would be willing to compromise and, like Ryan, support slowly raising the Medicare eligibility age, if it were proven to alleviate the greater issue at hand. Biden immediately launched into a historical narrative of his time spent with President Reagan and Former Speaker of the House Tip O’Neill (D-Mass.) reforming Social Security. As he has continually stated throughout this election cycle, Biden said that Romney and Ryan wished to transform Medicare into a voucher program. The second Presidential Debate, held on October 16 in Hempstead, NY contained nary a mention of the key issues directly affecting American seniors—Medicare, Medicaid, Social Security, and Obamacare. How did you think the Presidential and Vice Presidential candidates performed in their latest debates? Let us know, and be sure to check back in with our coverage of the third and final Presidential Debate to be held in Boca Raton, Florida on October 22. At the 63rd Annual Convention & Expo, AHCA/NCAL is running on all cylinders! After the close of Day 1, attendees have had a taste of all the excitement this week offers. This morning, we were wowed with the vocal charms of HBO star Dominic Chianese, the founder of the Joy Through Art program. Our leadership reflected on this past year -- our successes and our challenges -- and gave us a perspective on what to expect in the coming months. The Expo Hall was the place to be this afternoon as our exhibitors and vendors filled the room with energy, ideas, and innovation. It's a one-stop-shop for all of your needs for products and services to have the best quality care possible in your facilities. Need help navigating your way? Download the AHCA/NCAL Convention & Expo App today to find the most up-to-date floor layout! At the 63rd Annual AHCA/NCAL Convention & Expo, attendees were offered a special screening of Alive Inside, a documentary that brings special understanding to treating individuals with Alzheimer’s and dementia. Alive Inside follows one social worker, Dan Cohen, who finds a unprecedented connection between technology – a simple iPod music player – and residents. The residents come alive listening to their music remembering their youth, their passions, and their identity. The screening also provided an opportunity to talk about traditional and non-traditional treatment of Alzheimer's and dementia in the long term care setting. Ed McMahon, PhD, National Director of Alzheimer's Care/Quality of Life for Golden Living, moderated the session and the post-screening discussion. To learn more about Alive Inside and its partner non-profit organization, Music and Memory, please visit the website. President Obama plainly dismissed a voucher-based Medicare system. Obama claimed that if Romney were elected and repealed Obamacare as he has vowed, seniors would automatically be slapped with an additional $600 in prescription care cost hikes and experience a rise in copay prices. “The primary beneficiary of that [Obamacare] repeal is insurance companies that are estimated to gain billions of dollars back when they aren’t making seniors any healthier,” Obama concluded. Governor Romney’s Medicare plan is commonly equated to a voucher system by the Obama camp. When asked directly whether or not he supported vouchers, Romney replied, “What I support is no change for current retirees and near-retirees to Medicare and the President supports taking $716 billion out of that program.” He then stressed the significance of American’s ability to choose between “at least two plans”—traditional Medicare or a private plan. He addressed the imperativeness of bipartisan legislation, and highlighted that his running mate, Vice Presidential Nominee Rep. Paul Ryan (R- Wis.) worked with Senator Ron Wyden (D- Ore.) to co-author the December 2011 “Choices to Strengthen Medicare and Health Security for All: Bipartisan Options for the Future” bill. Finally, Romney took aim at not only Obamacare’s hefty price tag, but also its structural shortcomings that has some Americans feeling that their insurance choices are being repressed under the bill, and that their personal freedoms may be under attack. President Obama breached the topic of the Bowles-Simpson proposal penned by co-chairs of Obama’s National Commission on Fiscal Responsibility and Reform (NCFRR), Alan Simpson (R- Wyo.) and Erskine Bowles (D-NC). Despite the strong opposing opinions in the bipartisan group of which Rep. Paul Ryan was also a member, the commission crafted and presented a comprehensive Dec. 1 2010 proposal entitled “The Moment of Truth: Report of the National Commission on Fiscal Responsibility and Reform." Ultimately rejected in the Senate, Bowles-Simpson was strangely voted down by six Republicans who were members of the NCFRR; Ryan was among them. Regardless of the bill’s failure to pass into law, Obama stated that his administration’s effort to encourage bipartisan communication through the establishment of the NCFRR is good for America. President Obama repeatedly referenced his 30 percent cut in Medicaid claim throughout the rest of the segment. Romney drew on his governorship experience to challenge the President’s stance. How do you think President Obama and Governor Romney tackled Medicare and Medicaid in the first debate? Let us know and be sure to check back in with us for full coverage of the first Vice Presidential Debate to be held in Danville, Kentucky on October 11. Going to Tampa? Want to win a new iPad? Get social and you just might win one from AHCA/NCAL! See the calendar of actions below and with each Tweet and Facebook post that you make, you’ll increase your chances of taking home the iPad. 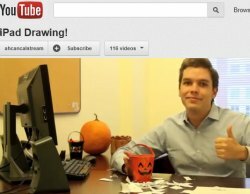 Still new to social media? Give it a try and you may just achieve social media guru status through your Convention practice and take home the iPad to boot. And remember, each action that you take on social media will make it easier for you to win. After Convention, one lucky winner will be drawn from the names of those who participated. Now get out there and give it a try. Remember to post on our Facebook page and to Tweet with the official convention hash tag #LTCTampa to enter. ReTweet on Twitter or like and comment about the contest on Facebook and you will obtain your first entry to win the iPad. Post on the Facebook page or on Twitter why they’re looking forward to in Tampa and receive an entry. Post on the Facebook page or on Twitter what they’re packing for Tampa and you’ll receive an entry. Post about your arrival, NCAL or DD Day. Bonus for posting a picture from Tampa. Post your favorite quote from Keynote Jim Collins or a picture. Or something you learned during an education session. Or a picture from the Expo floor. Your favorite convention moment so far. Or a picture from Hospitality Hops. Post a quote from Commander Mark Kelly. Or your favorite song of the night from Smokey Robinson. Attendees at this year’s NCAL Day get a double-dose of inspiring keynote speakers: Nina Easton will open this year's NCAL Day, and Jack Uldrich will wrap up the event. Uldrich is a renowned global futurist, scholar and business speaker. With a vision towards future business models, Uldrich assists companies and organizations in preparing for future trends, innovation, change management and leadership. He has served as an advisor to Fortune 1000 companies and continues to advise thousands across the nation as a guest expert, author and public speaker. Uldrich’s has written several bestselling titles, including Jump the Curve: 50 Essential Strategies to Help Your Company Stay Ahead of Emerging Technologies; The Next Big Thing is Really Small: How Nanotechnology Will Change the Future of Your Business; and most recently, Foresight 2020: A Futurist Explores the Trends Transforming Tomorrow. With his leadership, expertise and provocative ideas, Jack Uldrich will lead NCAL Day attendees into the future of business development and change. 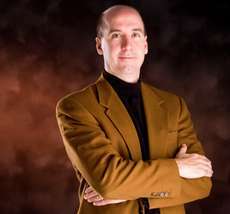 For more information on Jack Uldrich, visit his website at http://jumpthecurve.net. Easton, a Washington columnist and senior editor for Fortune magazine, will dive into the political and economic whirlwind that serves as the backdrop for growing trends in assisted living. 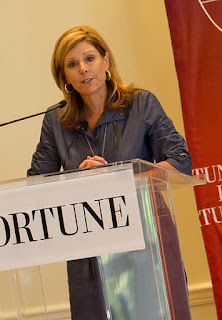 In addition to her columns, Easton regularly appears as a panelist on Fox News Sunday and Special Report making her ideal the ideal keynote to detail the temperature in Washington and beyond. She’s co-authored books such as Reagan's Ruling Class: Portraits of the President's Top 100 Officials, Gang of Five: Leaders at the Center of the Conservative Ascendancy and John F. Kerry: A Complete Biography by The Boston Globe Reporters Who Know Him Best. As a prolific journalist and author what would you like to hear from Easton? Don’t miss her opening kick-off of NCAL Day on Sunday, Oct. 7th. Each year at its annual Convention, AHCA/NCAL dedicates an entire day to developmental disabilities. This year, “DD Day” will be held on Sunday, October 7th. The day is jam packed with a number of informative sessions focused on issues relevant to DD providers, including boosting worker morale, timely survey updates and preparation tips, and maintaining vocational opportunities. One of the best things about DD Day this year is that participants will not only earn 6 CEUs, but they’ll also receive one year of FREE e-mail/phone consultations from Keynote Speaker, Dr. Tom Pomeranz. Dr. Tom Pomeranz is a nationally recognized authority, trainer, clinician and consultant in the field of services for people with disabilities. In his keynote address on Sunday, Dr. Pomeranz will offer information on how active treatment should be delivered to allow individuals with significant cognitive, physical and/or behavioral challenges to participate in all aspects of life, thereby having meaningful experiences. The maxim that “without a presence, there is no future” serves as the foundation for this session. And don’t forget about the DD Hero of the Year Award presentation, where AHCA/NCAL will honor a true hero dedicated to improving the lives of those developmental individuals. That takes place on Wednesday, October 10th, during the Closing General Session. DD Day is proudly sponsored by Mesa Vista, Inc. and the Utah Health Care Association. Not registered yet? Start here.